"It all ends here! No more lies!" Beacon Pictures and Broadvision Entertainment have released an official trailer for an indie thriller titled Grey Lady, from director/actor John Shea. The movie stars Eric Dane (seen in Marley & Me, Valentine's Day, "Grey's Anatomy", "The Last Ship") as a Boston police officer who goes to Nantucket to investigate the murder of his partner, but discovers more than he bargained for. The cast includes Natalie Zea as a woman he befriends who helps him around the town, plus Amy Madigan, Adrian Lester, Carolyn Stotesbery, Chris Meyer, and Rebecca Gayheart; as well as director John Shea in a small role. This looks pretty much straight-to-TV quality, but it is surprisingly going to theaters. When Boston homicide detective James Doyle's partner is killed in an ambush, their dying words provide him with a clue that sends him to remote Nantucket Island. There in the grey off-season his hunt for the killer leads him to the heart of island where not even he can hide from the truth. 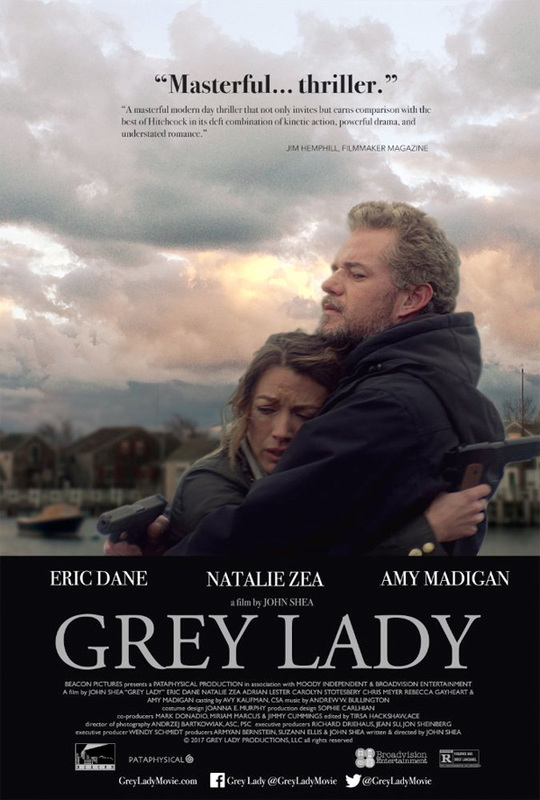 Grey Lady is directed by American actor-turned-filmmaker John Shea, who has directed only one other film previously from 1998 titled Southie. The screenplay is also written by John Shea; from a story written by John Shea and Armyan Bernstein. Beacon & Broadvision will release Grey Lady in select theaters starting April 28th this spring.